Ok, I'll admit it - I'm guilty. I have been slacking on the health front for awhile now. I can feel it; it's taking its toll on me! I’m not sleeping properly, my anxiety is high. I know that there need to be changes made, and I’m ready to fully commit to these changes! It is proven that regular exercise not only helps give you energy and help you get in shape, but it also helps in releasing endorphins that will help with depression and anxiety. By interacting with receptors in your brain, these endorphins reduce your perception of pain. They trigger a positive feeling in the body, such as the “runner’s high” you feel after a run, or that euphoric feeling you feel after a great workout. 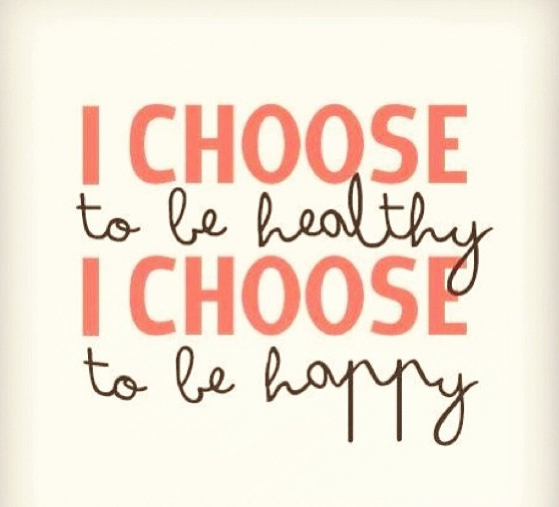 Living a happy, healthy lifestyle is not just about exercise though. There are many aspects to living a healthy lifestyle, from eating right and exercising; from surrounding yourself with positive people and ensuring you take some time for yourself. A great way to kickstart a new healthy lifestyle would be to check out the Symphony of Wellness Festival. The Symphony of Wellness Festival mandate is to educate and inspire the benefits of physical acticity and healthy lifestyle choices. This year there will be celebrity speakers including, but not limited to: Ryan Sawlswille from Extreme Makeover: Weight Loss Edition, gourmet caterer and nutritionist Rose Reisman, and Tony Greco – Canada’s leading fitness specialist. There will also be live cooking demonstrations, musical performances, and even an obstacle course! I’m excited to make some long overdue changes to my lifestyle! I will be going back to the gym, taking up running again as well as making some changes to my diet. Stay tuned to blog for updates and tips along the way! In what ways do you live a healthy lifestyle?